I’ve been intending to do a post (or a few!) on distance learning for a while now, and since Beloved Husband has recently signed up with the Open University, my alma mater, to do a Law degree, this seems like the perfect opportunity to share my accrued wisdom not just with him but the ENTIRE WORLD. 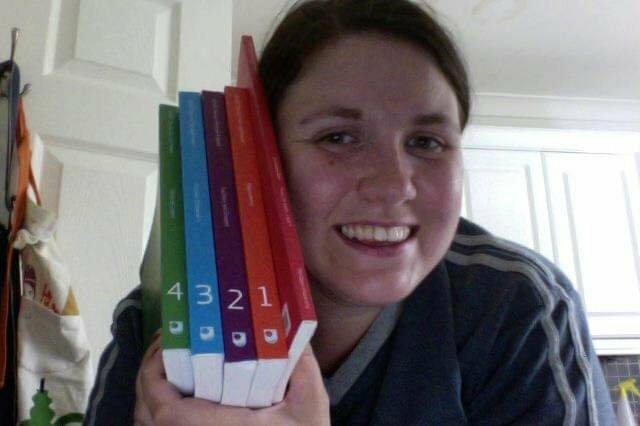 I went from my OU Bachelor degree to a distance learning MA, which I’ve nearly finished, so I feel like a bit of a veteran in some ways. 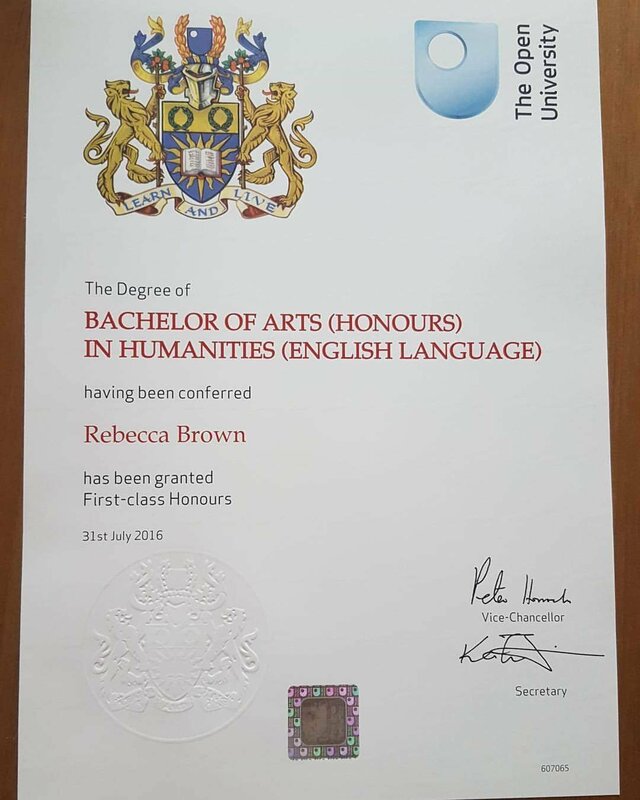 I had some health issues (including chronic pain), small children, and I was self-employed – none of which I’m saying here to show off or anything, but instead to show that doing a degree via distance learning is possible even if there are challenges in your everyday life. And I am certain I’ve made most of the common mistakes! Some of these points are probably useful for any undergraduate, but I’ve tried to concentrate particularly on advice for DL students. Get into the habit of making use of small blocks of time. If you think you need 2 hours at a time to make progress you will struggle, especially if you have small children! Don’t expect to know everything at the start! Don’t get hung up on referencing. You need to get it right and take over it, but you will always be able to check the format. You don’t have to know the exact format off by heart, especially at the start. I am right at the end of my MA and I still need to check each reference! On the other hand, do get in the habit of keeping track of references! Make a note every time you use a reference, as close to finished format as possible. 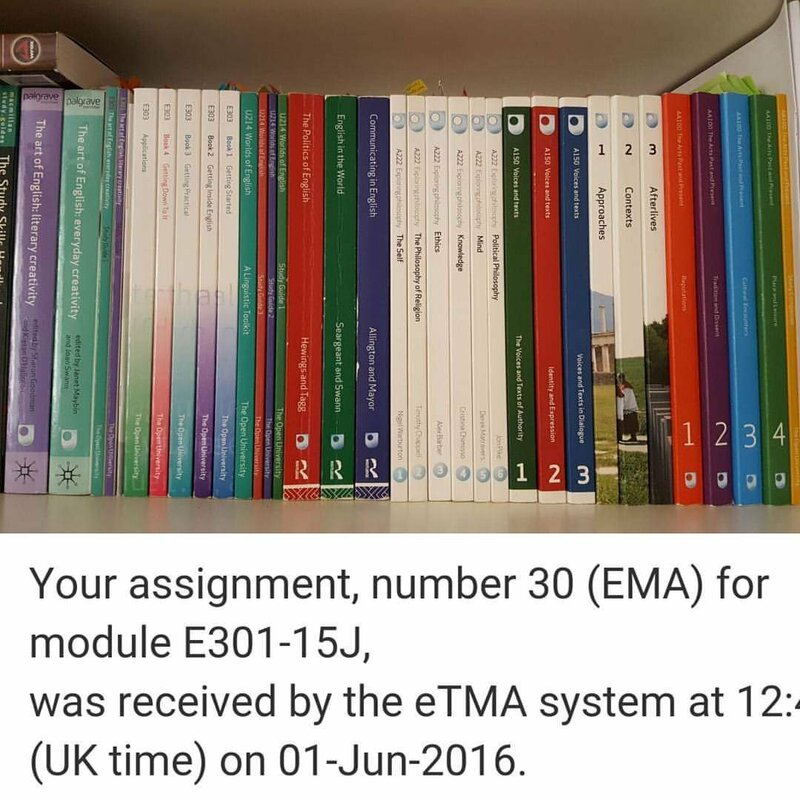 Still on referencing, find your department’s preferred format (they should have a handy document somewhere listing various examples, from book chapters to blog posts) and BOOKMARK IT. Seriously, it will become your best friend and probably the single most-used tool of your degree. You can find the right example, copy and paste it into your reference list/bibliography, and replace the sample info with the relevant citation (but DO remember to do this stage, otherwise you’ll just have plagiarised the anti-plagisrism measures which is nothing if not ironic). 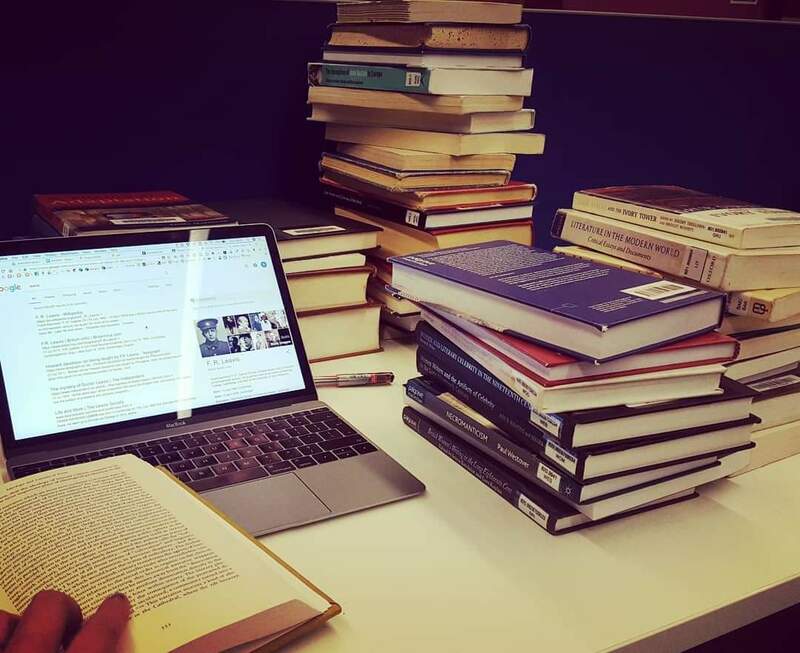 Most guides, including your university’s, probably, will advise setting up your own space where you can work peacefully and come to associate with productive study. In my experience that’s wonderful, but pretty unrealistic. If you can hijack a corner of your house and turn it into a study space, go for it; the thing I’ve almost perfected is a study kit. A bag holding current books, notebook(s), pencil case (including spare highlighters, pencils, pencil sharpener, rubber and biros), sticky tabs, and module materials. This moves around with me, and I have found that sitting down and pulling out my study materials usually has the same trigger for study time that the Pinterest-worthy study nook is supposed to – this is now my study time, engage brain. It has the distinct advantage of being portable so if at the last minute I’m the parent on swimming lesson duty I can take it with me easily and efficiently. Use your local university library via the SCONUL scheme. DO IT. Library access will vary; I’m fortunate enough that I live 3 miles from Durham University whose SCONUL access allows borrowing up to 7 books at a time, which seems quite rare. Even if you can only get access rights, this can be invaluable particularly at level 3 or postgraduate level where independent research is far more important. And it’s an ideal study space. Take your study kit along. You can find out more about SCONUL here. Connect with other distance learning students. Ideally they’ll be on your course, or even better on your module, but whatever the case, the support from someone else cheering you on when your assignment is due the following day and you’ve written the title and nothing else is invaluable. In my experience it’s even more valuable if your university is a brick uni which offers DL courses. At something like the Open University, everyone is in the same position (ie, a DL student); if you’re part of a relatively small contingent of DL students among (but not physically) a wide community on campus, it’s much easier to feel that you’re isolated and missing out. Find Facebook or WhatsApp groups, and maybe make use of any uni forums, although these always seem harder to join in with! Go easy on yourself. There’ll be modules you don’t do so well at, units you have to skip, assignments deadlines for which you need to request extensions. The fact that you’re taking on a part time degree at a distance is an achievement all on its own; don’t beat yourself up if something takes a while to sink in or an essay doesn’t get quite as high a grade as you hoped. Try and enjoy the journey! Document your journey. I really wish that I’d blogged my experience from the beginning so that I had it to look back on in writing rather than with hindsight. Blog, journal, whatever. Recreate it in interpretive dance, if that’s your thing. But try to capture a little bit of how you feel at the beginning, and through the course, so you can see how far you’ve come and the things you’ve learned that you didn’t even realize you’d learned. And with this last point in mind, I’m definitely going to take my own advice, better late than never, and try to blog regularly(ish…) about my own progress. I just got approval on my dissertation proposal for my MA, and a supervisor assigned, in January so I’m embarking on something entirely new; I’m also (tentatively!) 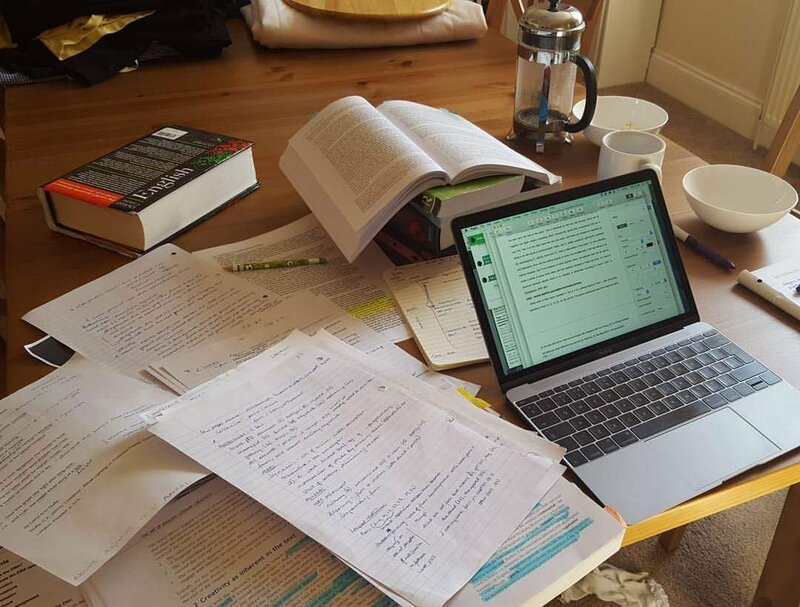 exploring the idea of doing a PhD… You guessed it, via distance learning. This is principally because the best places for my area are not where I live, and because of my children (my son has just started year 7 and really needs the stability) we can’t really move closer. But also, I do feel my experience so far has equipped me well for the kind of independent learning I believe is required for a PhD, so I’m both incredibly nervous and incredibly excited about the prospect, and fully intend to blog it! I’d like to think this has been helpful for anyone thinking about distance learning or about to begin; good luck!